As 200,000 Poles took to the streets today to celebrate the centennial of the country’s independence, the corrupt, globalist media came out in force to tarnish the event and attempted to portray the march as an evil, ‘nationalist’ incident. Most of these media outlets also had to bring in French President Emmanuel Macron’s anti-nationalist comments today at the Armistice Day remembrance in Paris. The celebration in Warsaw commemorated the restoration of the country’s sovereignty from the Russian, German and Austro-Hungarian empires in 1918. Nationalists were among more than 200,000 people taking part in a march in the capital, Warsaw, which was led by President Andrzej Duda, reported the BBC. Most participants in Sunday’s march in Warsaw were seen carrying Polish flags and wearing red-and-white armbands, but some were holding banners representing far-right parties from Poland and Italy, they continued. Halfway through the article they finally mention there was no violence at the event and no offensive banners or shouting. It was meant to foster unity and celebrate the sacrifices of past generations in the creation of the modern Polish nation. 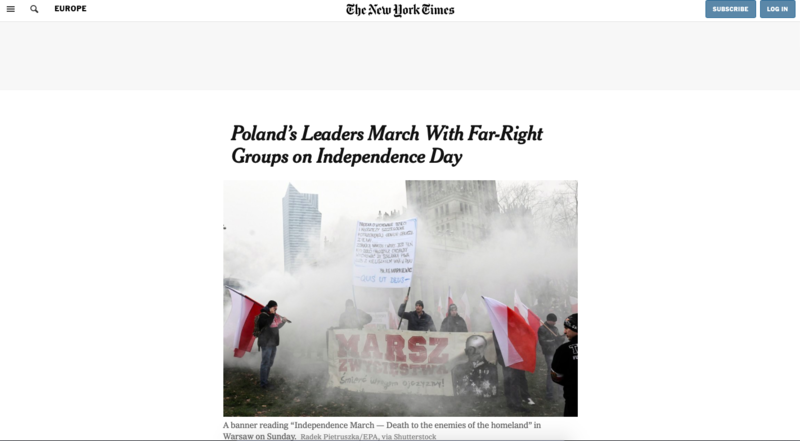 But after days of wrangling and controversy, the country’s Independence Day celebration on Sunday ended up highlighting Poland’s deep divisions, wrote the New York Times. Hundreds of yards behind the officials from the governing Law and Justice Party were far-right activists known for promoting racist, homophobic and supremacist slogans, they continued. Again, way down in the article, they had to admit, Despite earlier concerns, Sunday’s march was a peaceful affair. One could have made the case the event was a showing of unity by Polish citizens from across the political divide. 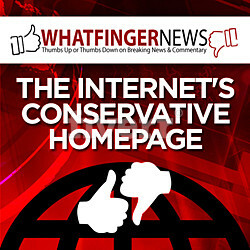 However, as they do in America, the media is on the side of those trying to divide and promote the globalist agenda. The New York Times piece then degenerated into a diatribe and play-by-play of Poland’s fight with Brussels over judicial reform and immigration. The march with all parties represented came about after a court decision preventing certain groups from being allowed to participate.